As researchers unravel the molecular machinery that links exercise and cognition, working out is emerging as a promising neurotherapy. For an hour a day, five days a week, mice in Hiroshi Maejima’s physiology lab at Hokkaido University in Sapporo, Japan, hit the treadmill. The researcher’s goal in having the animals follow the exercise routine isn’t to measure their muscle mass or endurance. He wants to know how exercise affects their brains. 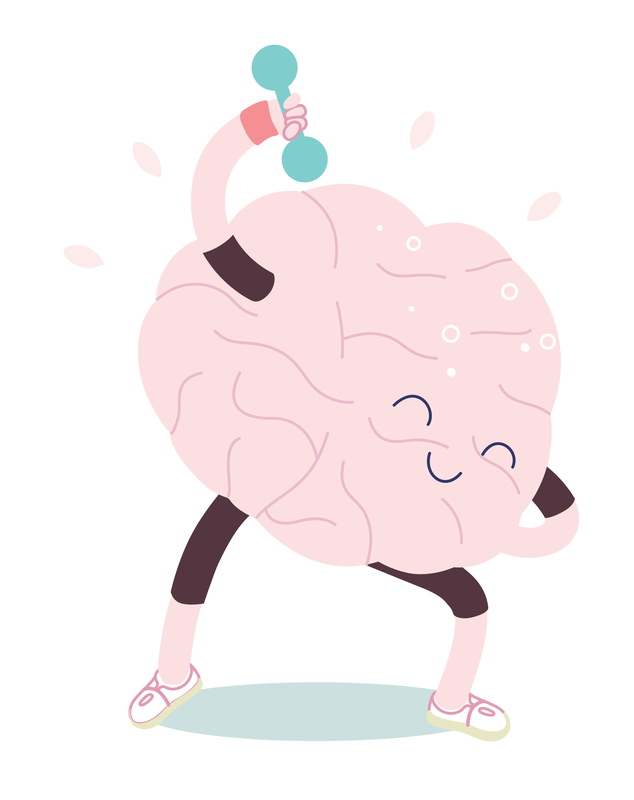 Researchers have long recognized that exercise sharpens certain cognitive skills. Indeed, Maejima and his colleagues have found that regular physical activity improves mice’s ability to distinguish new objects from ones they’ve seen before. Over the past 20 years, researchers have begun to get at the root of these benefits, with studies pointing to increases in the volume of the hippocampus, development of new neurons, and infiltration of blood vessels into the brain. Now, Maejima and others are starting to home in on the epigenetic mechanisms that drive the neurological changes brought on by physical activity. In October, Maejima’s team reported that the brains of rodents that ran had greater than normal histone acetylation in the hippocampus, the brain region considered the seat of learning and memory.1 The epigenetic marks resulted in higher expression of Bdnf, the gene for brain-derived neurotrophic factor (BDNF). By supporting the growth and maturation of new nerve cells, BDNF is thought to promote brain health, and higher levels of it correlate with improved cognitive performance in mice and humans. With a wealth of data on the benefits of working out emerging from animal and human studies, clinicians have begun prescribing exercise to patients with neurodegenerative diseases such as Parkinson’s and Alzheimer’s, as well as to people with other brain disorders, from epilepsy to anxiety. Many clinical trials of exercise interventions for neurodegenerative diseases, depression, and even aging are underway. Promising results could bolster the use of exercise as a neurotherapy. In the late 1990s, then-postdoc Henriette van Praag and other members of Rusty Gage’s lab at the Salk Institute for Biological Studies in La Jolla, California, were fascinated with recent findings from the group showing that mice whose cages had toys and running wheels developed more new neurons in the hippocampus, a brain area important for learning and memory, than mice living in less-stimulating enclosures. 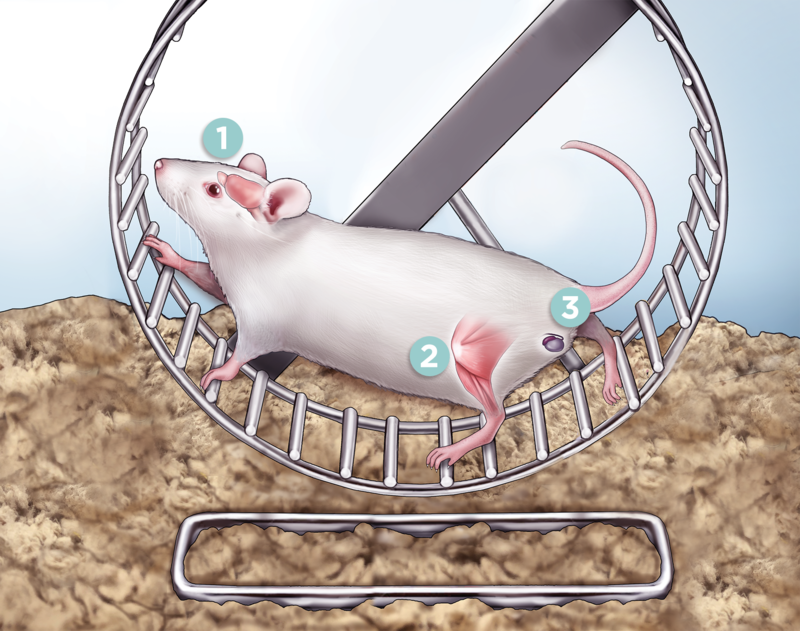 In a follow-up study published a few months later, van Praag and her colleagues showed that the neurogenesis sparked by running on the wheel correlated with the mice’s ability to remember the location of a hidden platform in a tank of water. The brains of the mice that ran also had greater reorganization of synaptic connections than those from mice that didn’t run, suggesting exercise influences plasticity.3 “The whole line of research into exercise and neurogenesis grew from there,” says van Praag, who started jogging regularly after seeing the results. 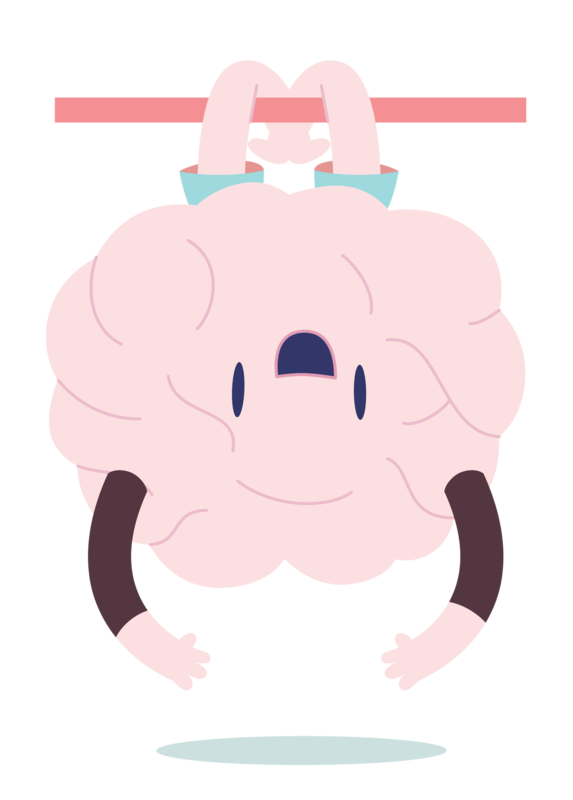 Over the past two decades, researchers have identified many molecular mechanisms underlying exercise’s influence on cognition. 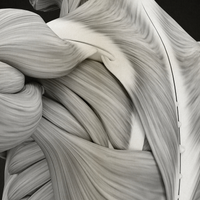 Exercise, studies have shown, leads to the release of proteins and other molecules from muscle, fat, and liver tissue that can affect levels of BDNF and other agents that spur neurogenesis, speed new-neuron maturation, promote brain vascularization, and even increase the volume of the hippocampus in humans. 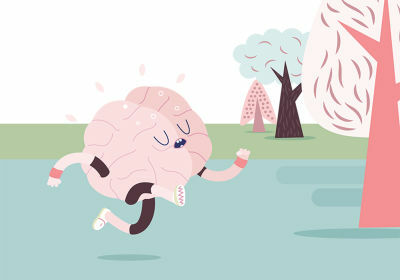 Physical activity increases the volume of the brain’s hippocampus and improves learning and memory in mice and humans. Mouse studies have linked these effects to the growth and maturation of new neurons. Now, researchers are beginning to unravel the molecular mechanisms that connect exercise to these cognitive benefits. Exercise influences levels of neurotrophins, proteins that promote the proliferation of neurons and support their function. Physical activity enhances DNA demethylation in the promoter region of the Bdnf gene, increasing the expression of the neurogenesis-boosting signaling factor. Moreover, histone acetylation appears to loosen chromatin to bolster Bdnf transcription. Exercise leads to the secretion of molecules by muscle and fat cells that affect levels of growth factors in the brain, influencing the shape and function of the hippocampus by accelerating new neuron growth and increasing the volume of the brain region. In the sperm of male mice that exercise, the abundance of certain microRNAs associated with learning and memory increases. The mice’s offspring show slight cognitive advantages compared with offspring of sedentary mice. Exercise-induced epigenetic changes “have a remarkable capacity to regulate synaptic and cognitive plasticity,” says Fernando Gomez-Pinilla, a neuroscientist at the University of California, Los Angeles, who has led several similar studies. While some researchers probe the epigenetic connection between exercise and cognitive prowess, others continue to unveil previously unknown links. In 2016, for example, van Praag, now at the Florida Atlantic University Brain Institute, and colleagues found that a protein called cathepsin B, which is secreted by muscle cells during physical activity, was required for exercise to spur neurogenesis in mice. In tissue cultures of adult hippocampal neural progenitor cells, cathepsin B boosted the expression of Bdnf and the levels of its protein and enhanced the expression of a gene called doublecortin (DCX), which encodes a protein needed for neural migration. Cathepsin B knockout mice had no change in neurogenesis following exercise. No one believes exercise is going to be a magic bullet. But that doesn’t mean we shouldn’t do it. Since the 1980s, studies of humans have pointed to a link between exercise and gains in cognitive performance. Understanding this relationship is of particular importance to patients with neurological diseases. University of Southern California neuroscientist Giselle Petzinger has been treating patients with Parkinson’s disease for decades and has observed that those who exercise can improve their balance and gait. Such an observation hinted that the brain retains some plasticity after disease symptoms set in, she says, with neural connections forming to support the gains in motor skills. As early as the 1990s, studies started to show indirect links between pregnant women’s physical activity and the brains of their gestating babies. For example, a 1996 study showed that at age five, children of moms who exercised regularly during pregnancy performed better on tests of general intelligence and oral language skills than children whose mothers had not exercised much (J Pediatrics, 129:856–63). And research backing this association continues to accumulate. In 2016, for instance, one study showed that boys born to physically active mothers had higher scores on math and language tests than boys from sedentary moms (J Matern Fetal Neonatal Med, 29:1414–20). Scientists have long assumed that the exercise-induced changes to offspring are epigenetic in nature, and recent research is beginning to support that hypothesis. One group reported in 2015 that three months of physical exercise changed the DNA methylation patterns of young men’s sperm. The tweaks occurred at genes associated with schizophrenia, Parkinson’s disease, and other brain disorders (Epigenomics, doi: 10.2217/epi.15.29). To further investigate exercise-induced changes in gene expression, Anthony Hannan of the Florey Institute of Neuroscience and Mental Health in Victoria, Australia, and colleagues studied the sperm of mice that ran on wheels or performed other physical activities. 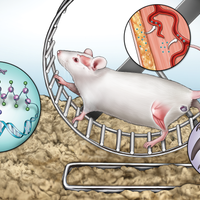 The team showed that exercise spurred changes in the expression levels of several small RNAs in the germline cells of male mice. 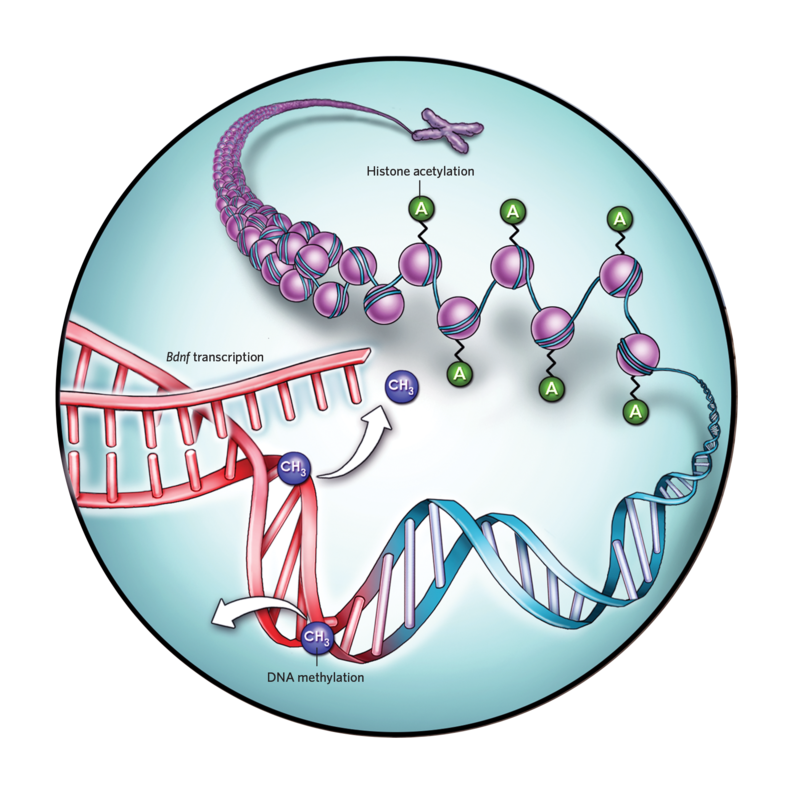 It is known that small RNAs packaged into gametes can influence the metabolism of offspring, and possibly also learning and memory. 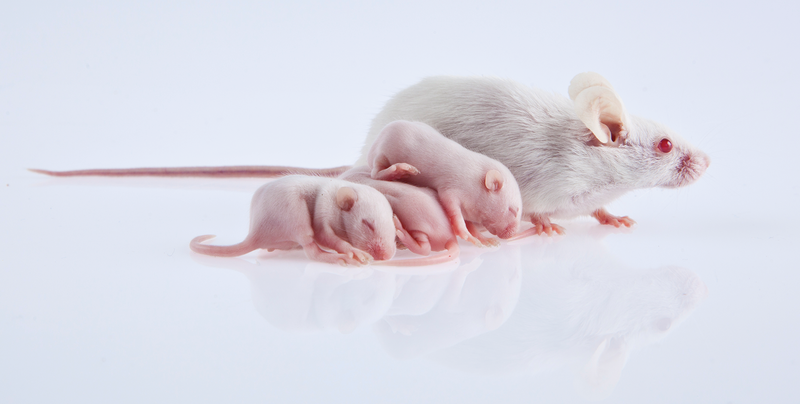 Male mice born to fathers with these changes in their sperm had reduced anxiety levels, leading the authors to conclude that parental exercise can exert a transgenerational effect on offspring’s emotional health (Transl Psychiat, 7:e1114, 2017). Earlier this year, André Fischer, an experimental neuropathologist at the German Center for Neurodegenerative Diseases in Göttingen, and his colleagues published one of the most convincing studies showing that the benefits of an enriched environment on the brain can be passed epigenetically from parent to offspring. The team put adult male mice in cages with running wheels and other toys, while a set of their cousins lived in cages without wheels or toys. Synaptic connections increased in the mice in enriched environments, and the team also saw increased connections in the brains of the active mice’s offspring—both males and females. The offspring learned a little faster and had a bit better memory recall than mice with parents reared in traditional cages, though the differences were not statistically significant (Cell Rep, 23:P546–54, 2018). 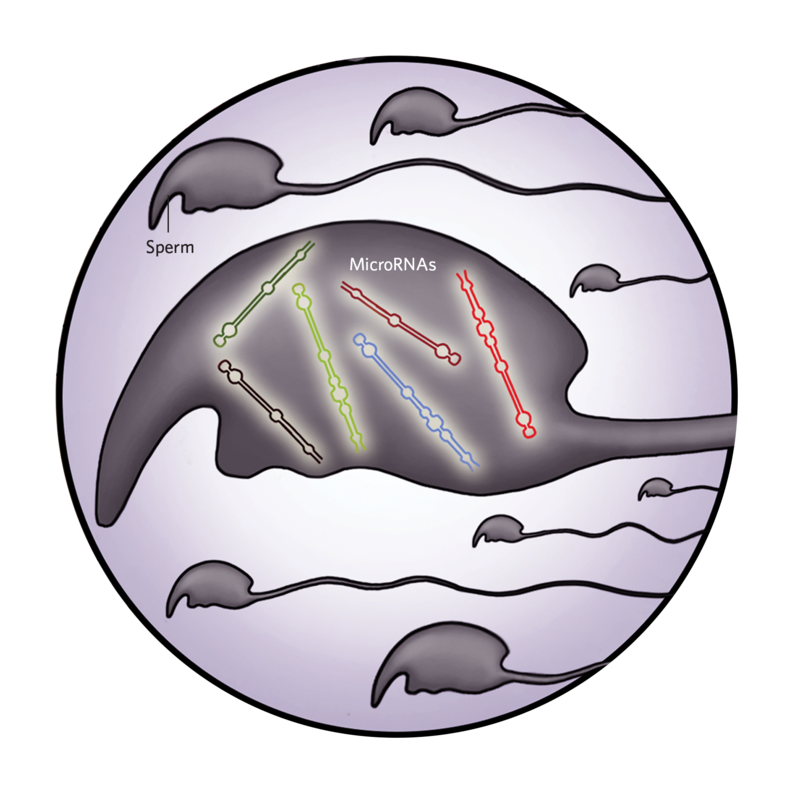 Analyzing the sperm of the parent mice, Fischer and his colleagues identified two microRNAs—miR212 and miR132, both associated with the neuron development—that appeared to affect cognitive abilities of the active mice’s offspring. Petzinger’s mouse studies have also revealed other possible mechanisms of exercise’s benefits for Parkinson’s patients, including the maintenance of dendritic spines, the tiny projections that branch off of nerve cells to receive electrical input from other neurons nearby, and of the synapses along these spines.9 These effects appear to modify synaptic connectivity within the mice’s brains and modify the animals’ disease progression, says Petzinger, who is just wrapping up a trial on using exercise to target cognitive impairment in Parkinson’s disease. Prescription exercise may also be beneficial for Alzheimer’s patients or individuals at risk of developing the disease. 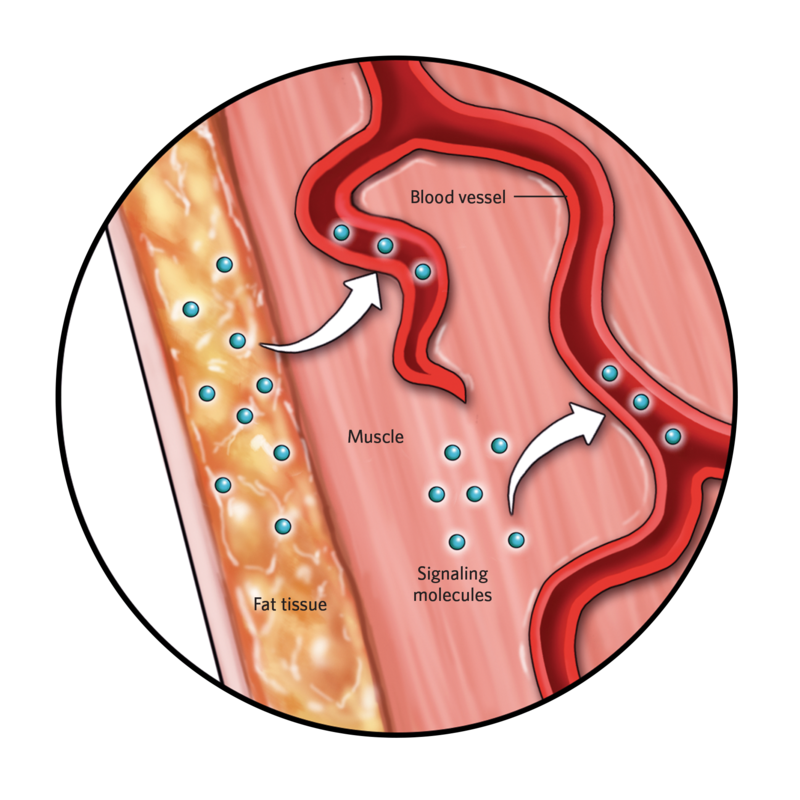 Several studies show that physical activity can counter the elevated risk of developing the disease among individuals carrying the APOE-ε4 allele—the most common gene variant linked with late onset of the disease. And more-recent studies suggest exercise can combat brain deterioration associated with the disease. Studying exercise’s effect on the nervous system could help researchers identify the best and most efficient strategy to maintain brain health as we age. In 2018, van Praag, along with researchers from Harvard Medical School, MIT, Massachusetts General Hospital, the Dana-Farber Cancer Institute, and the Salk Institute, published a mouse study that found that neither a neuroprotective drug nor a gene therapy to overproduce WNT3, a protein that has been linked to neurogenesis, reversed signs of dementia. 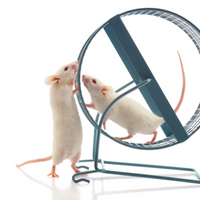 Yet, when the mice were allowed to exercise, their cognitive performance improved. When the team combined the neuroprotective drug with treatments to overexpress the Bdnf gene in the brains of mice that didn’t exercise, improvements in their cognitive performance matched those of the mice that were given access to a running wheel.10 The work, van Praag says, may provide avenues toward treating patients with neurodegenerative diseases who are too frail to exercise. The result also offers support for the 58 clinical trials currently being done on exercise, cognition, and Alzheimer’s disease. There are nearly 100 ongoing trials, including Petzinger’s, investigating exercise’s role in easing Parkinson’s symptoms, and hundreds more looking at exercise as an intervention against depression. Some researchers are even testing the effects of exercise on aging. H. Maejima et al., “Exercise and low-level GABAA receptor inhibition modulate locomotor activity and the expression of BDNF accompanied by changes in epigenetic regulation in the hippocampus,” Neurosci Lett, 685:18–23, 2018. H. van Praag et al., “Running increases cell proliferation and neurogenesis in the adult mouse dentate gyrus,” Nat Neurosci, 2:266–70, 1999. H. van Praag et al., “Running enhances neurogenesis, learning, and long-term potentiation in mice,” PNAS, 96:13427–31, 1999. A. Collins et al., “Exercise improves cognitive responses to psychological stress through enhancement of epigenetic mechanisms and gene expression in the dentate gyrus,” PLOS ONE, 4:e4330, 2009. S.F. Sleiman et al., “Exercise promotes the expression of brain derived neurotrophic factor (BDNF) through the action of the ketone body β-hydroxybutyrate,” eLife, 5:e15092, 2016. H.Y. Moon et al., “Running-induced systemic cathepsin B secretion is associated with memory function,” Cell Metab, 24:332–40, 2016. B.E. 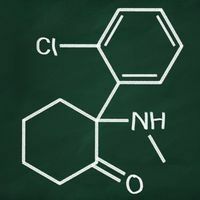 Fisher et al., “Exercise-induced behavioral recovery and neuroplasticity in the 1-methyl-4-phenyl-1,2,3,6-tetrahydropyridine–lesioned mouse basal ganglia,” J Neuro Res, 77:378–90, 2004. B.E. Fisher et al., “Treadmill exercise elevates striatal dopamine D2 receptor binding potential in patients with early Parkinson’s disease,” NeuroReport, 24:509–14, 2013. W.A. Toy et al., “Treadmill exercise reverses dendritic spine loss in direct and indirect striatal medium spiny neurons in the 1-methyl-4-phenyl-1,2,3,6-tetrahydropyridine (MPTP) mouse model of Parkinson’s disease,” Neurobiol Dis, 63:201–09, 2014. S.H. Choi et al., “Combined adult neurogenesis and BDNF mimic exercise effects on cognition in an Alzheimer’s mouse model,” Science, 361:eaan8821, 2018.